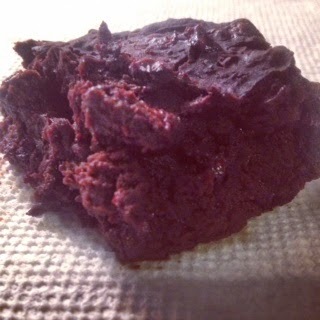 This was the first time I tried making black bean brownies, and I was NOT disappointed! This is one of the most fudgey and moist brownie recipes I've ever made. The best part is that they are totally healthy and filled with fibre and healthy fats! 1. Preheat oven to 350*. Spray a 9x9" baking tray with cooking spray. 2. In a Magic Bullet (or blender) blend black beans and avocado until very smooth. 3. In a large bowl mix together black bean and avocado mixture, egg, cocoa powder, vanilla, sugar, baking soda, baking powder, and salt until well blended. 4. Stir in chocolate chips. Pour mixture into baking tray and place in oven. Bake for 30-40 minutes until fully cooked through.